Experts predict that by 2020, customer experience (CX) will surpass both price and product as the most vital brand differentiator. Even today, 55% of customers are open to pay more for a guaranteed good experience. In the digital age, consumers value transparency, convenience, and a seamless experience above everything else. With an almost infinite level of choice and information available at the swipe of a mobile screen or the click of a mouse, to thrive in today’s commercial battlefield, offering an outstanding CX is vital to cementing long-term success and forging valuable and enduring consumer relationships. That said, to offer a truly valuable customer experience, you must ensure that interactions across every consumer touchpoint are consistently flawless, from the product information page to the internal subscriber accounts, portals, landing pages, and mobile apps. In the age of the digital native, looking inwards is a fast track to commercial failure. To boost your CX offerings and push yourself ahead of the pack, adopting a customer-thinking mindset is key. To help you improve your company’s CX offerings across the board, give your customers exactly what they want, benefit from increased brand loyalty, and ultimately, a boost in profits, here are five steps you should follow. While this may sound like a simple concept, you’d be amazed at just how many people skip this part of the process. Before you begin gathering consumer insights and data, making active plans, and rolling out your CX efforts, you should first sit down with the core members of your project and select the touchpoints that you wish to focus on in their order of priority. For example, if you’d like to enhance the checkout process to make your product-buying journey more navigatable, it should go at the top of your list, closely followed by your product landing pages as these two key elements go hand in hand. Once you’ve made these all-important decisions, you should set yourself clear objectives as benchmarks for your project – these aims will help you focus your efforts and remain motivated throughout. For example, you might want to improve your NPS score by a set amount or decrease your cart abandonment rate by 25%. The choice is yours – but ensure that you establish those benchmarks. Once you established your aims, goals, and benchmarks, the next step of the journey is getting to know your customer on a deeper level. This is critical to stepping into the customer-centric mindset that will allow you to offer your consumers maximum value through your CX offerings. 79% of consumers want brands to demonstrate that they are cared for before considering a purchase. By getting under your customers’ skin, that’s exactly what you’ll achieve. To gain meaningful insights into your target audience, you should start by building buyer personas that are relevant to your project. A profile of a brand’s model consumer, a buyer persona will help CX designers, managers, and developers to target their efforts accurately, thereby establishing clear-cut CX goals while eliminating any potential pain points throughout the user journey. For help on building meaningful consumer profiles, read our comprehensive guide to buyer personas. In addition to building your buyer personas, you should also gather as much digital demographics data as you can from Google Analytics to understand the habits, preferences, and browsing mediums of your target audience. By collecting this information, you stand a far greater chance of tailoring your CX efforts to meet or even exceed the expectations of your customers. This may sound ominous but it’s far less sinister than you might think; just like it is important to understand your customers, it is equally important to understand your competitors. Now, a particularly effective means of getting to know your enemy is through competitive intelligence. Competitor intelligence is not simply based on knowing your enemy, but it’s also a strategic means of understanding your industry’s climate, and how your target customers fit into each pocket of the marketplace. In addition to studying the social media posts, blog content, and marketing campaigns of your main competitors (and noting down their success in terms of engagement: likes, shares, comments), you should also look at trends, news, and developments within your industry from reliable sources and publications. To gather further intelligence, you can also ask people from your extended network such as LinkedIn for any additional competitor insights should they have any to offer. Now that you’ve established your aims and objectives, created your personas, and gathered all of the intelligence you need, it is time to build your CX strategy. One of the most pivotal parts of your entire CX improvement project, the beating heart if you will, is your customer map, or maps. Through customer journey mapping, you can gain meaningful panoramic insights into your customers’ potential experience and utilize this information to boost as well as evolve the look, feel, functionality, and consistency of every key touchpoint throughout your various consumer journeys. By using your consumer data and buyer personas, you’ll be able to ensure that each critical stage of the customer journey is accounted for methodically, starting with the awareness stage and terminating at the buying and aftercare stage. If you visualise this information, you’ll be able to create a visual diagram of the customer journey and thus, plan your developments for each key touchpoint, addressing all potential issues and pain points as you go. Once you have your customer journey maps in place you should sit down as a team and decide on a logical plan of execution, assign roles and deadline dates to everyone in the team, and the assets you will need for each stage of the strategy. Another important element of any CX improvement project is planning a content campaign alongside it to ensure you market your new efforts to your consumers effectively. To help you do just that, read our eCommerce beginner’s guide to content marketing. Upon planning your CX strategy and developing all of your improvements, the next thing to do will be to execute your plan of action. 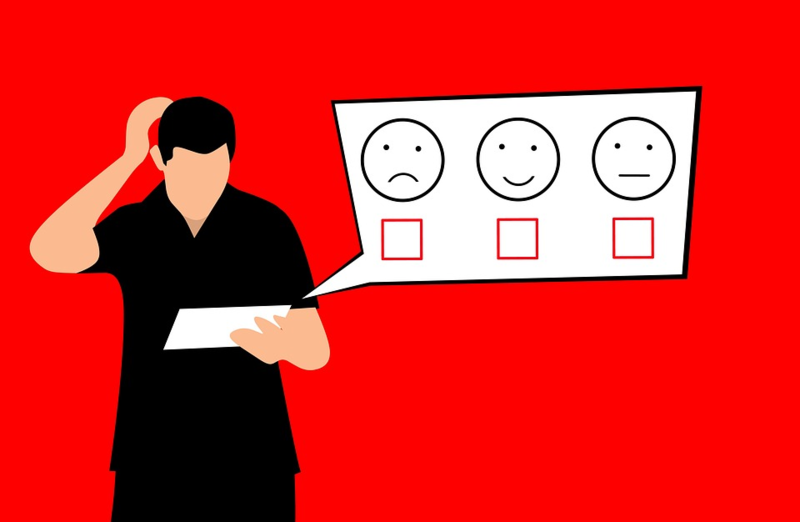 Once you’ve unleashed your new and improved CX offerings to your consumers you should collect as much feedback as possible to gauge whether additional enhancements must be made and test your various assets to ensure they evolve to meet the ever-changing needs of your customers. Conduct A/B or split testing on various new developments and touchpoints to see which elements connect with your customers and yield the best results. Leverage your consumer feedback and data from various sources to discover your CX strengths and weaknesses – develop new platforms and applications based on what works and strive to improve what doesn’t. To gain real-time feedback, you could invite focus groups of your existing customers to test your new offerings and share their thoughts directly. In our fast-paced digital age, the customer is very much in the driving seat and it’s up to you as a business to meet the ever-evolving needs of your customer base consistently, otherwise, they won’t stick around. By following these steps to continually boost your brand’s CX offerings, you will remain ahead in the race, give your customers what they need, and enjoy the sustainable commercial success that we know you deserve. One of the primary drivers of CX success is a brand’s About us page. For insights on how you can improve yours, boost brand loyalty, and increase conversions, read our five key ingredients for getting the results you need.